The DECLIC mini-laboratory developed by CNES has been operating aboard the International Space Station for a year, letting scientists perform experiments remotely from Earth and view matter in a new light. 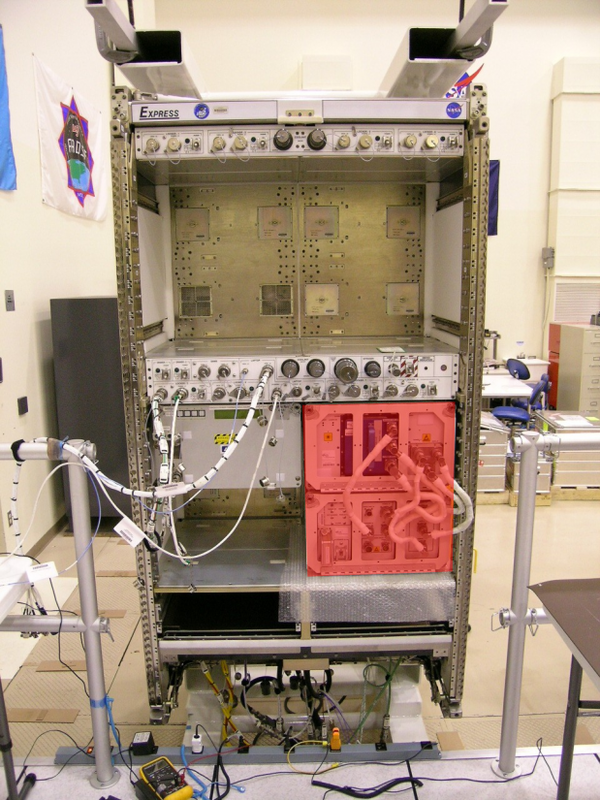 The DECLIC mini-laboratory (in pink) is housed inside an Express rack on the Japanese JEM module aboard the ISS. Credits: NASA/ESA. For while DECLIC is orbiting 400 km overhead on the International Space Station, its experiments are controlled in real time from Toulouse. So what sort of experiments are scientists doing? 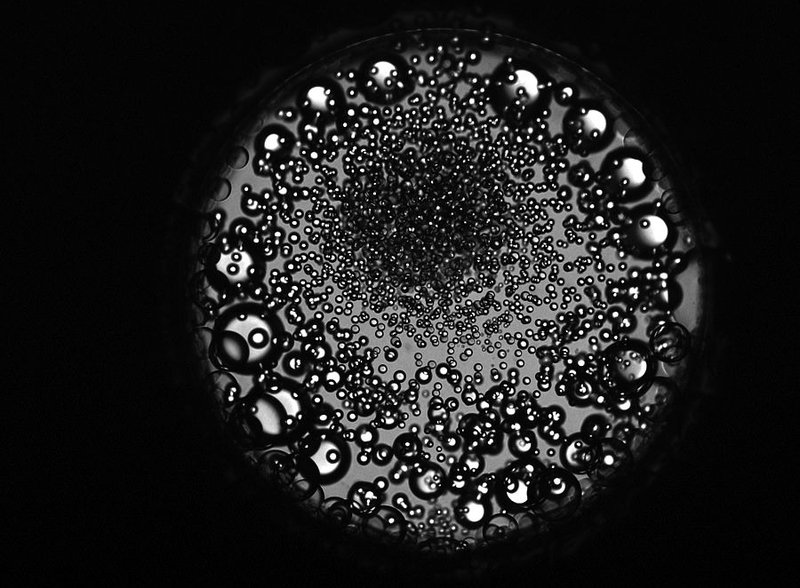 They are looking at transformations of matter, particularly in ‘supercritical’ fluids, that is, fluids which exhibit the properties of both a liquid and a gas. 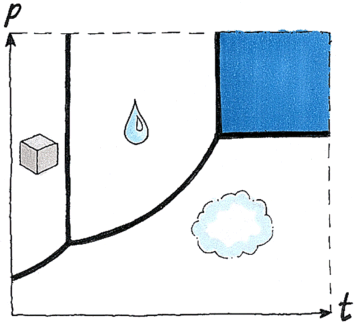 Carbon dioxide in a supercritical state (blue). Credits: CLS. Here on Earth, it is impossible to clearly observe the transformation of a fluid like water into a supercritical state. The reason is because this type of phenomenon is masked by gravity. “Space offer scientists pure experimental conditions,” explains Bernard Zappoli. For example, using the HTI2 module scientists have been able to determine the critical temperature of water, above which it goes supercritical when under pressure. “Today, there are unanswered questions concerning how water behaves below this critical temperature, so there are potential discoveries to be made,” promises Bernard Zappoli. The mini-laboratory on the ISS developed by CNES could one day enable waste to be treated in completely eco-friendly fashion. Credits: CNES. Image DECLIC du 19 octobre 2010 à bord de l’ISS qui montre l’état de l’eau à une température de 99 millièmes de degrés au dessous de la température critique. Crédits : CNES. DECLIC picture of 19 October on the ISS showing the state of water 99 thousandths of a degree below the critical temperature. Credits: CNES. In November, the HTI module is being brought back to Earth to be filled with saltwater. Using another module called DSI3, researchers have been able to look at the solidification of an alloy and reveal structural anomalies as never seen before. “By probing the growth dynamics of such flaws we can eliminate them and make materials stronger, like for example in soda cans, which are a big market,” says Bernard Zappoli. 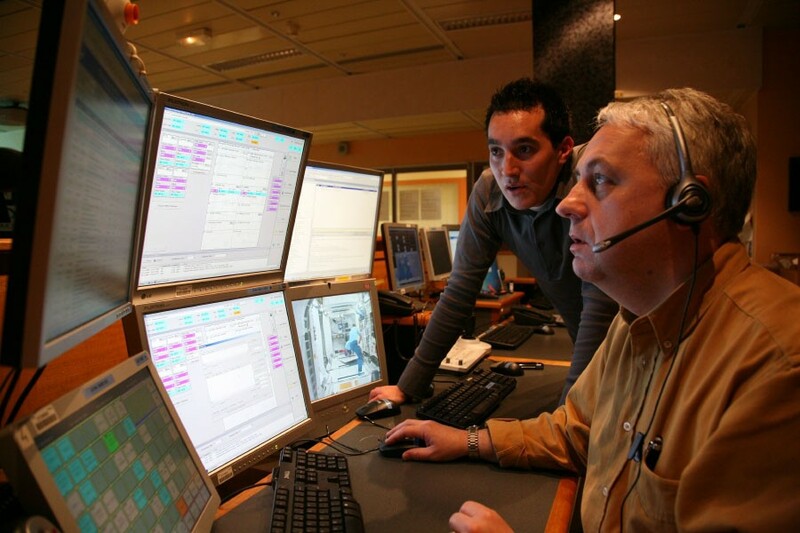 DECLIC control room at CADMOS in Toulouse. Credits: CNES/P. Jalby. Reference data unobtainable on Earth will thus be accumulated and fed into the numerical models used in many industries. The 3rd module, ALI4, designed to study boiling in the vicinity of the critical temperature, will be fired up in March 2011.